After the Cold War, Turkey faced a disciplinary criticism from international community about the Kurdish question. This mounting condemnation not only resulted in shame, and status anxiety for Turkey, it also opened a free space for nationalist Kurds to mobilize. Although this condemnation had a pause in the immediate aftermath of the 9/11 attacks, its tone continued to increase in a cumulative manner. The ‘Western-promoted’ gains of nationalist and separatist Kurds mobilizing around the terrorist PKK have faced the wrath of the Turkish state since the mid-2015. Although the PKK, one of the most violent terrorist organizations, gained a lot from regional developments and international support, the Turkish state took an immense risk of worsening its image in the West and unleashed its fury on the PKK. Theoretically driven by hierarchy studies in International Relations, this paper aims to explain why Turkey ignored all criticism from the West in its last war against the PKK. Since the late Ottoman times, Turkish policy makers have embraced Western norms and plead for acceptance in Western institutions. Put differently, the Europe has constituted a significant reference category through which Turkey accepted its inferiority and accordingly left itself to the judgment of European standards. This not only created a disadvantageous structure in which Ottoman/Turkish state has been primarily judged by Western values and institutions, it also resulted in a hyper-awareness of the Western origin of norms among policy makers, leading to norm-rejection. The latter was so simply because relations between the West and non-Western states are built on a perpetual dynamic of stigmatization. As far as civilized Western states serve as a reference category, norm adaptation has never made Ottoman/Turkish state equal to Western states in its relations. 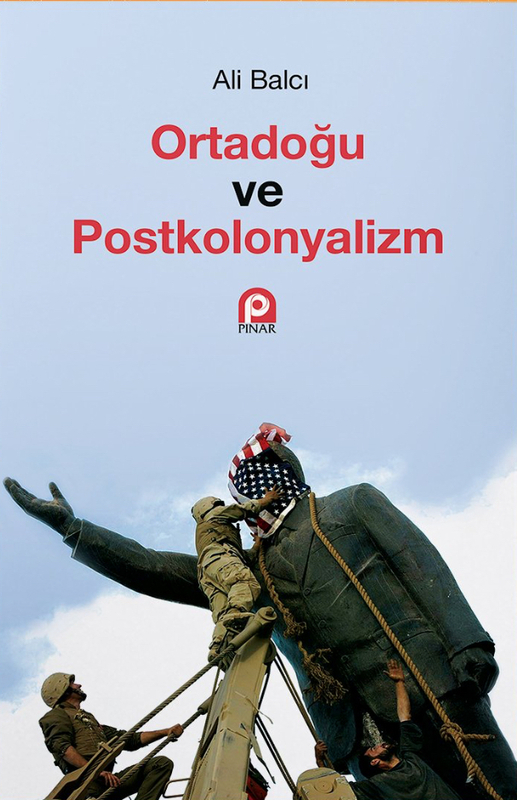 While the line of norm adaptation makes the Turkish state submissive to Western demand about the Kurdish issue, the line of norm-rejection has outweighed when Western demands started to dwindle the state sovereignty in Turkey. An analytical focus on status, therefore, can help to understand most of recent political developments in Turkey’s Kurdish question. As part of the Europeanization process in the first decade of the 2000s, Turkey introduced massive reforms about the rights of Kurdish-speaking people in Turkey. Such reform process not only improved the rights of ordinary Kurdish people, it also motivated the PKK, a terrorist organization, in changing the basic strategy of fighting against the Turkish state. The PKK started to embrace Western demands from Turkey as safe haven, leading to resurgence of the PKK. The same ruling party, which carried out EU-imposed reforms, turned blind against EU’s demands regarding human rights, accordingly risked the status of Turkey in the Western club. When Turkey’s wrath reigned in the second half of the 2010s, the PKK dramatically lost all its gains stemming from the Western pressure on the Turkish state. This paper aims to explain all these ups and downs by using the analytical concept of ‘status’ as part of recent hierarchy–turn in International Relations. 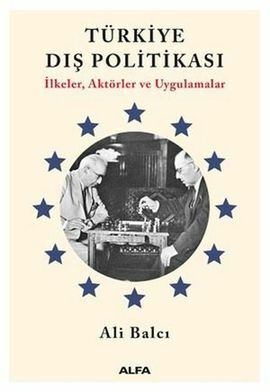 The present paper has some theoretical assumptions in evaluating the following puzzle: why Turkey preferred to risk its status in Western-led hierarchical order by crushing the resurgent PKK given the fact that the latter has been discursively supported by the West in the context of the Syrian crisis? First, secondary states in a hierarchical order give the top priority to their recognition by ‘targeted’ reference group of states. Because of this top priority, a specific framework laid down by the leading powers of the hierarchical order determines what proper behaviors are for secondary states. Third, such asymmetric relation between secondary states and the leading ones within the order paradoxically generates a never-unsettled anger on the side of inferior state, feeding revenge sentiments against states superior in the order. Fourth, when secondary states are ostracized against their own will in this hierarchical order, this never-unsettled anger comes to surface, increasing the likelihood of risk-taking behaviors. Such behaviors manifest themselves in a wide range of options such as exit from the hierarchical order, and working against the wishes of the lead state in a specific policy issue. Secondary states in a hierarchical order may prefer challenging the demands and rules of the hierarchical order. Following a hierarchical order’s rules of membership does not automatically grant status subordinate members desire. For secondary states, achieving desired status requires recognition from great powers within the order. This creates a ‘status inconsistency’, the difference between status that is deserved and status that was attributed by the order itself. In this phase, secondary states give a greater care to damages the order inflicted on their sovereignty and independence. However, dissatisfaction over status does not mechanically drive subordinate states to challenge simply because they are still secondary. Challenging behaviors, however, need some facilitating conditions. Of them, three are the most relevant and worth to mention here. First, if an alternative hierarchical order offers a better status, secondary states exploit this in order to achieve status they desire within the existing order. Second, an improvement in material attributes such as wealth, military capability, and technological development motivate secondary states to take risk against the wishes of leading powers of the order. Third, it is leaders who turn complaints about the way secondary states are treated into policy outcomes. That means the perception of leader about whether his or her country is treated unfairly in the hierarchical order does matter. Challenge, then, arises out of facilitating conditions in favor of subordinate state dissatisfied with the rules and dictates of the hierarchical order defended by the leading actors in that order. Since 1999, the ruling parties of Turkey gave enormous compromises to the European Union in particular and the West in general in order to improve the status of Turkey in the Western hierarchical order. In the closing years of the first decade of the 2000s, it became clear that Turkey would not get the desired status within that order. Although Recep Tayyip Erdoğan, Turkish prime minister between 2003-2014 and president since 2014, often declared that he would embrace EU reforms as a path to further democratization of Turkish political system, status of Turkey in the Western order continued to deteriorate especially after 2013. 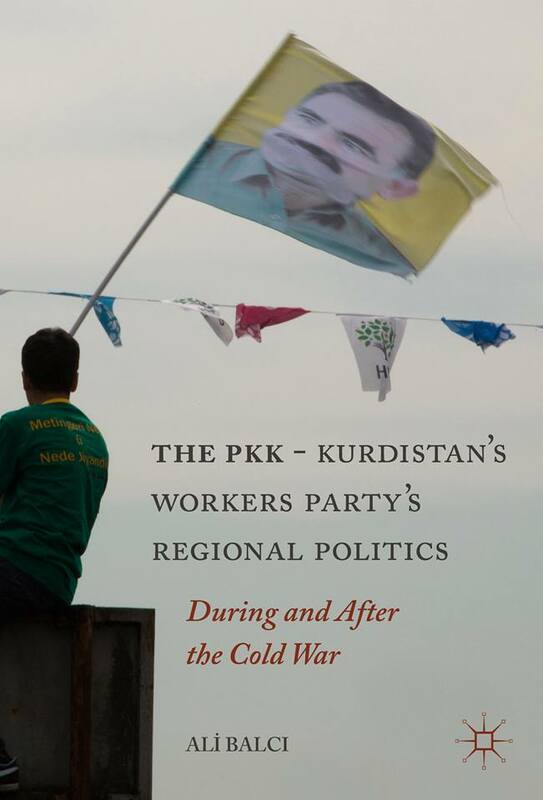 In such situation, it appeared that the EU-induced reforms increased mobilization opportunities for the PKK-led Kurds, epitomized not only in the Kurdish party’s sweeping the votes of Kurdish-majority cities, also in PKK’s resurgence both in the southern Turkey and at the south of Turkey, Syria and Iraq. In the eyes of the ruling elite, disappointment was big. On the one hand, compromises did not generate the desired result, improvement in status. On the other, the realization of EU demands weakened security and sovereignty of the Turkish state. Together with disillusionment about compromises to the West, Russia’s assertive return to the region, improvement in Turkey’s material capacities, and Erdoğan’s personal charisma prompted the Turkish state to challenge the rules and dictates of the Western hierarchical order. As part of this challenge, Turkish Armed Forces together with police forces started an all-out war against the PKK in 2015 and the Turkish government crushed many opportunities PKK-friendly Kurdish political organizations gained as part of the EU reform process. Such policy moves are extremely risky for a subordinate state given that leading powers of the order might punish Turkey by either putting some sanctions in place or shifting the status of Turkey from a candidate waiting at the door to a threat against the values of that order. Turkish policy makers, however, took such costly risks and significantly curbed sovereignty gains of the PKK-led Kurdish organizations in Turkey. The West started to direct a strong criticism towards Turkey’s ruling party and its leaders, resulting in the representation of the AK Party as the primary cause of Turkey’s stigma. The Gezi protests during the 2013 summer dealt a serious blow against the AK Party, tarnished its democratic image and deteriorated its decade long status as an important democratic force in Turkey. After that moment, the magnitude of status inconsistency extremely increased for the AK Party. After a decade long EU reforms, now the AK Party is presented as an authoritarian party by the EU actors and within Western circles. In such situation, the AK Party, which had already lost its enthusiasm about EU reforms, saw all reform demands as threats to its own survival. This becomes very clear in the Syrian case and Ankara never listened to those who tried to legitimize the establishment of the PKK-affiliated Kurdish entity in the Northern Syria. Turkey challenged the West with the help of a great power, namely Russia. The return of an assertive Russia into the region via Syria challenged two-decades long US military supremacy. Turkey utilized such system-level development, and approached to Russia in order to decrease the risk of challenging to the West. As part of this rapprochement, Turkey could launch its long awaited cross-border operation in northern Syria (called Euphrates Shield) in order to prevent ISIS infiltrations in, and attacks on Turkish cities, and thwart the state-like entity of PKK-friendly Kurds along the border of Turkey. After this first operation, Turkey directly targeted Afrin under the control of the PKK-affiliated forces in Syria. Both operations against the PKK in Turkey and military advancements against PKK-affiliated groups in Syria were facilitated by improvements in Turkey’s domestic military industry. 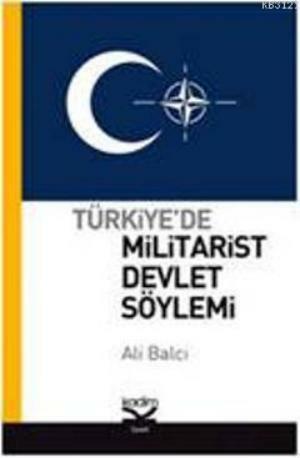 Turkey witnessed a dramatic increase in the share of indigenous defense industry in domestic military market. It increases from %20 in 1999 to more than %65 in 2018. Together with this improvement, the share of Turkish indigenous defense industry in international market can show the technological strength of this industry. State companies such as Aselsan, TAI, and Roketsan and private ones such as Bayraktar have dramatically increased their sales to international market after 2008. According to SIPRI Arms Industry Database, ASELSAN (since 2010) and TAI (since 2014) are among top-selling 100 companies. When looked at the 2017 data, while ASELSAN is 61st in the list of top selling companies, TAI is at the 70th. Operation Olive Branch in 2018 against the PKK-affiliated Kurdish groups in Syria proved the success of Turkey’s domestic defense industry. As a result, arms embargo threats coming from the West as in the early 1990s did not work, and Turkey had no motivation to polish its image in the West in order to satisfy arms-selling countries. The Turkish President Recep Tayyip Erdoğan showed a strong resolve in the last war of Turkey against the PKK and PKK-affiliated groups in Turkey and the Middle East. Erdoğan’s determined attitude stems from two dynamics unique to his personality. First, Erdoğan is one the most reform-oriented Turkish leaders and accordingly he tried to solve the PKK problem with peaceful steps. 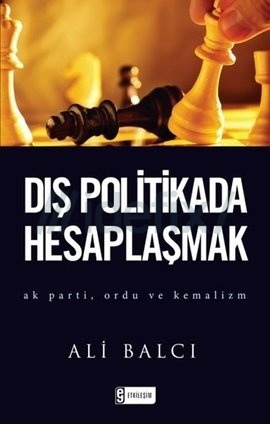 Between 2009 and 2015, the AK Party organized a massive political campaign in order to solve the decades-long Kurdish issue and disarm the PKK. This process failed mostly because the PKK used this peace process as an opportunity to consolidate its gains and increase its mobilization capacity. Learning from failures made Erdoğan more resolute in the new strategy to solve the PKK problem, an all-out war aiming to dismantle the PKK and PKK-affiliated organizations. Second, Görener and Uçal, in their data-driven study, find that Erdoğan is a strong and determined leader who can “push the limits of what is possible”. 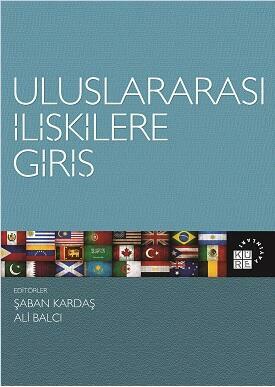 Therefore Erdoğan is able to orchestrate strident and risky decisions. Why did Turkey take a risk of worsening its image in the eyes of Western countries by starting an all-out war against the PKK and its branches in the Middle East? Given that the US allied with the PKK-affiliated Kurdish groups in Syria, the risk of drawing the wrath of the lead state was immense. In addition to many domestic reasons, Turkey’s changing conditions in international system made such a war, full of risk in terms of Turkey’s relations with the West, possible. This paper categorizes three most explanatory reasons into different levels. At the system level, West’s negative attitude together with the rise of Russia as aggressive balancer made the policy of balancing possible for Turkey again. At the state level, self-sufficient military capacity decreased Turkey’s dependency on Western arms. At the individual level, situational development, learning from failure, and dispositional character of Erdoğan made Turkey more resolute in its last war against the PKK. The above analysis is motivated by two puzzling questions: how did rulers of Turkey develop a belief that Turkey deserves a better status, and why did they take a risk of loosing the present status of Turkey in the search of a better one. Turkey’s recent war against the PKK provides an ample case to answer these two questions. On the one hand Turkey realized its “status inconsistency” in the case of the Kurdish issue (despite reforms no improvement in status). On the other, Turkish rulers targeted the most sensitive issue through which the West generates its judgment about Turkey. However, such a risky act was not based on a simple frustration. Since facilitating conditions, the rise of Russia as balancer, Turkey’s improvement in defense industry, and learning from the past, were at play, status-altering behavior of Turkey was motivated by a strategic calculation. Ali Balci, “The Kurdish movement’s EU policy in Turkey: An analysis of a dissident ethnic bloc’s foreign policy”, Ethnicities 15.1 (2015): 72-91; Hakan Samur, and Mehmet Behzat Ekinci, “The European Union Dilemma of the Kurds: High Support for Membership despite Lack of Sufficient Trust”, Insight Turkey 20.3 (2018): 219-240. See, Rahman Dağ, “The Spillover Effect of the Syrian Crisis on the Peace Process in Turkey”, Journal of Asian and African Studies 53.8 (2018): 1251-1270. Güneş Murat Tezcür, “When Democratization Radicalizes: The Kurdish Nationalist Movement in Turkey”, Journal of Peace Research 47.6 (2010): 775-789.